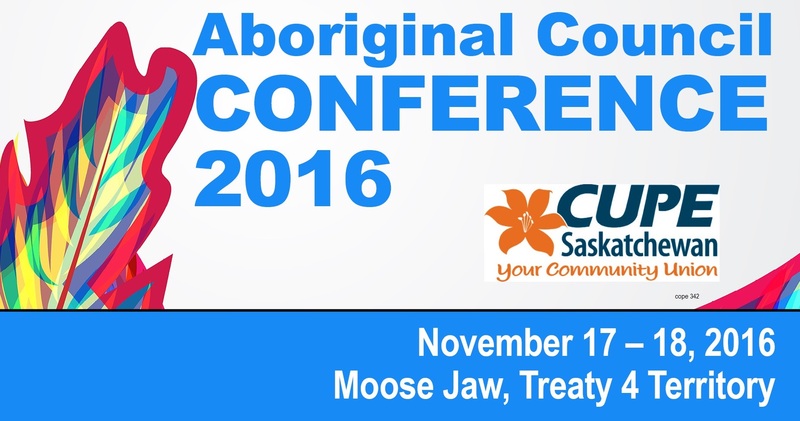 Registration is now open for the Aboriginal Council Conference 2016 to be held November 17 – 18, 2016 at the Temple Gardens Hotel in Moose Jaw, Treaty 4 Territory. 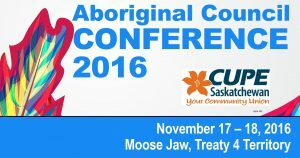 NOTICE OF ELECTIONS: Elections to CUPE Saskatchewan’s Aboriginal Council Committee and the Aboriginal Member (and Alternate) to the Executive Board will be held at the conference. Nov 17 2016 9:00 a.m. – 4:30 p.m.
Nov 18 2016 9:00 a.m. – 1:00 p.m.